Tickets for Buca di Beppo NYC New Years Eve 2020 are currently not on sale. Experience a truly authentic Italian family-style cuisine in the heart of Times Square on the biggest night of the year! Ring in New Year’s Eve 2019 at Buca di Beppo! It’s the perfect place for great Italian food and a unique VIP family experience! Buca di Beppo serves authentic Italian cuisine in an eclectic, vintage setting. Buca's food is served family-style and meant to be shared. Buca Small feeds up to three and Buca Large feeds an average-sized country. Well, actually it feeds up to six. 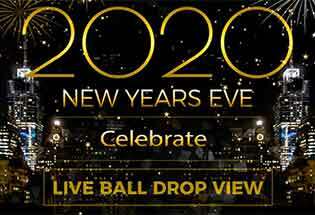 The outgoing staff and delicious food are sure to keep your New Year’s Eve celebration energetic and fun. Keep the conversation flowing by admiring the walls covered in vintage family photos and candid shots of Italian-American icons such as Sophia Loren and Joe DiMaggio. Enjoy listening to the tunes of Frank Sinatra and Dean Martin while you’re sitting at a table with your family and friends! Your ticket is an all-access pass to Planet Hollywood and Buca di Beppo. 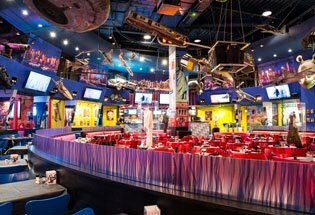 It includes a midnight champagne toast, open bar, great food, party favors and first floor access to Planet Hollywood where the DJ will be spinning the latest hits all night long.